Our mission is to inspire and transform men, women, and children in impoverished areas throughout East Africa through empowerment and education initiatives. 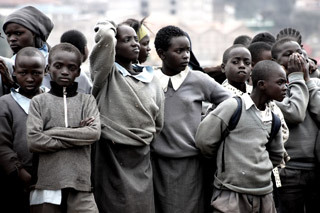 Action Two Africa’s desire is very straight forward: we want to get kids off the streets and back into the classroom. We want to see HIV and AIDS awareness go up while infection rates goes down. We want to help families become self-sufficient and economically stable. In short, we want to equip and empower communities to make sustainable change in their environments.